In the year 2000, a Romanian independent company came up with the AutoExpert magazine, a “100% Made in Romania” car magazine concept, reserved for the pragmatic readers, as well as for the car fans and enthusiasts. The AutoExpert projects are inspired by the real needs of the readers and by those of the society. AutoExpert stands as the only relevant local magazine and continues to publish articles themed on the local market. The partnership signed with Quattroruote allows us to make them better (we’ve got access to their ‘know how’) and besides, to feature exclusive articles, impossible to carry out in Romania. 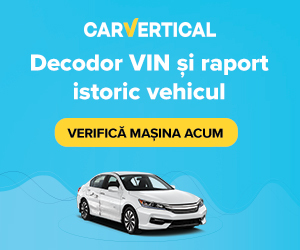 It is the first and only car publication in Romania, exclusively reserved to managers, as it is an operating tool that deals with the car issues from the company’s perspective, from financing and taxes to legislation and related services, providing news in the field and reviews of the major novelties. FloteAuto magazine benefits from the partnership sighed with the Italian group Editoriale Domus, being able to access global features and specialized articles carried out by the Tutto Trasporti magazine. MotorXpert brings the motorcycle universe closer to the Romanian enthusiasts via a high-quality, selective and objective magazine. It combines the over 20-year experience of the AutoExpert editorial team with that of the Motor Test / Moto Magia squad. It also combines the local expertise and the enthusiasm of the team with global possibilities, by the partnership with one of the most prestigious European moto magazines – DUERUOTE. It is the first project in the Romanian car media that exclusively addresses to women. We have opened a door to a super technical world, that we wish to beautify, to fill with smiles, jokes and grace. Miss Auto brings the latest stories in the automotive, the most useful pieces of advice for lady drivers, but also test drives in a brand-new approach, easy to understand for those who have not come into this world knowing everything about engines, axles, torque and dampers. It is the Romanian Nautics Magazine, with over 10 years of providing information from the local nautical field, education to navigation enthusiasts and contributing to the development of the nautical Romanian market. It stands as a premium publication, in a field that is both exclusive and innovative, providing current high-quality information, all wrapped in a one-of-a-kind editorial elegance. Starting November 1, 2018, Motor Clasic & Youngtimer magazine, the only Romanian publication dedicated to the passion for classic, historical and youngtimer cars, is part of the Auto Expert Media portfolio. Recognized internationally for quality (specialists appreciating the magazine as the most advanced in this area of ​​Europe), Motor Clasic & Youngtimer has become a Ruoteclassiche partner since 2016. Motor Clasic & Youngtimer and www.motorclasic.ro have been integrated into our platforms communication.